From 1997 Dance Theatre MD has become known for its high-class choreography and versatile performers. The broad repertoire features shows from classic fairy tales for children to contemporary dance pieces for adults. MD also provides tailored tour performances suited for various events. Most of Dance Theatre MD’s performances are suitable for non-Finnish-speaking audience. Dance Theatre MD, the only professional dance theatre in Tampere and the Pirkanmaa region, was formed in 1997, as two Tampere-based dance companies, Mobita (1972) and Dansco (1988), were joined together. Funded by the Finnish government and the city of Tampere, MD has a permanent staff of nine people. MD’s artistic direction is in the hands of the theatre’s permanent dance artists Suvi Eloranta, Elina Jakowleva, Anniina Kumpuniemi, Samuli Roininen and Mari Rosendahl. Otherwise the theatre is maintained by a supporting association with chairman Hanna Rosendahl at the helm. The other board members in 2019 are Mervi Juutilainen, Sari Mayer, Pasi Mäkinen, Elise Pedersen, Martti Silvennoinen and Minna Sirnö. MD produces ca. 80 shows on its home stage annually and 20 more on tour. In addition, the dancers are frequent visitors in various theatre and opera productions. MD also plays host to the annual Tampere Dance Current contemporary dance festival. In addition to performances in Finland, MD`s productions -for example Dancing Moominvalley by Samuli Roininen, 400 steps, Clapperboard and Little Toyshop by Mari Rosendahl, have visited Sweden, China, Germany and Estonia among other countries. 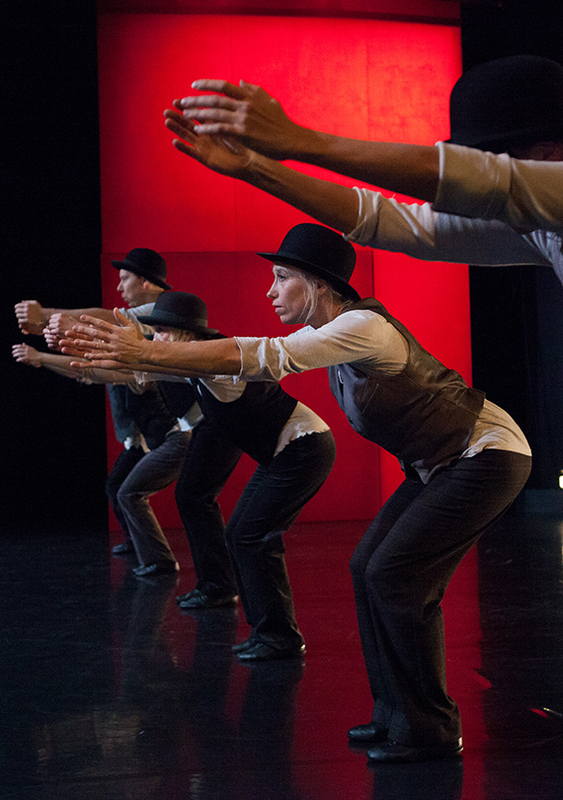 Most of Dance Theatre MD’s performances are suitable for all without languagebarriers. MD´s dancer-choreographers make co-operation as on a more or less regular basis with other theatres and operas in Tampere and in Finland such as TTT-theatre, Tampere Opera, Tampere Music Academy, Vaasa City Theatre and Finnish National Opera among others. Dance Theatre MD is a member of Finland Festivals, Pirfest, Tampere – the Theatre Capital of Finland -team, Children´s Tampere and the Association of Finnish Theatres.